Letterspace — Swipe. Edit. Note. Think about all of the notes you have to take on a daily basis. It's something we all do. Good note taking is based on being able to get your thoughts and ideas on the page quickly and efficiently. Letterspace doesn't distract you. It provides a noise free space to jot things down. So simple, so powerful. 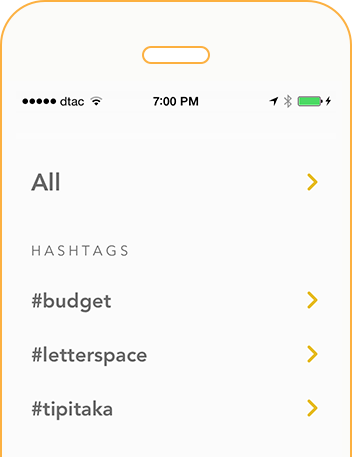 Letterspace for iPhone and iPad comes with a swipe bar. When you run your finger across this bar. The cursor moves back and forth across your text. Editing text on iPhone has never been this fun. To create a To Do List start a new line with a dash and a pair of squared brackets. On iPhone & iPad, Letterspace smart symbol suggestion also presents these characters when you start a new line. To mark it as completed just tap on it like a checkbox. Use #hashtag and @mentions anywhere in your notes. 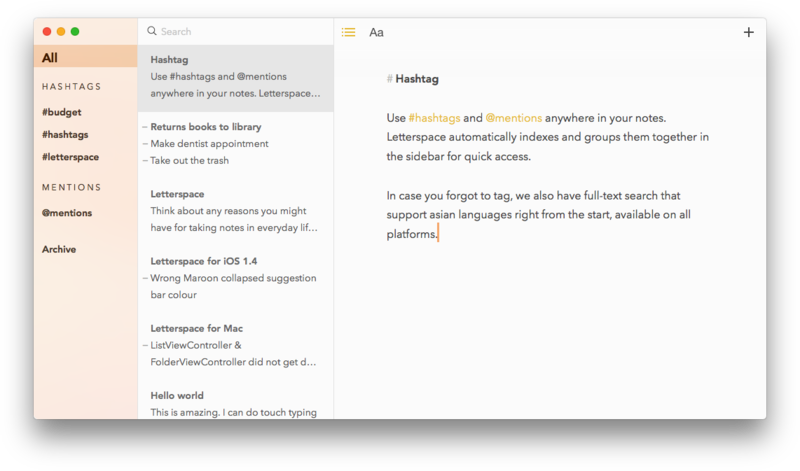 Letterspace automatically indexes and groups them together. 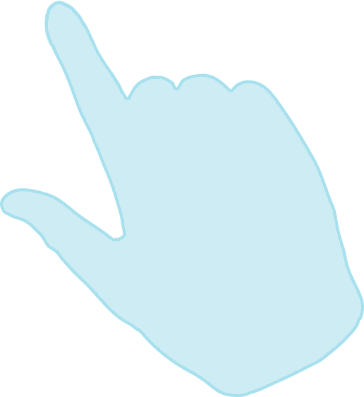 In case you forgot to tag, we also have Full-Text search that support asian languages right from the start. All your notes, everywhere you go.